I grew up in Potong Pasir, having lived there for over two decades. I am proud to have been a part of Potong Pasir and have written about the town on several occasions. 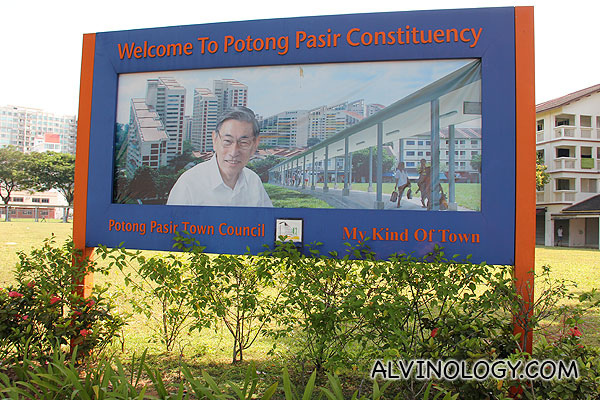 The small town of Potong Pasir has always been closely identified with Chiam See Tong, Member of Parliament for Potong Pasir from 1984 to 2011. Just like how the late Lee Kuan Yew has shaped Singapore, Chiam See Tong has shaped Potong Pasir into the kind of friendly, public-spirited town that it is till today. Potong Pasir is the smallest constituency in GE2015 with just 17,407 voters. It is also the longest surviving SMC in Singapore’s arbitrary redrawing of electoral boundaries. Why is this so? It’s because my vote and your vote matters! Frankly, I am worried Potong Pasir SMC will be wiped off the electoral map and redrawn into a GRC in the next election if the People’s Action Party (PAP)’s Sitoh Yih Pin wins again in GE2015. Even when I was in primary school, I hear my neighbours and my parents debating about who to vote for in each election. There are robust discussions in the coffeeshops, markets and void decks. I believe many Singaporeans only had their political awakening the the watershed election in GE2011. Not for those of us who grew up in Potong Pasir. Don’t you find some of the upgrading an utter waste of taxpayers’ money? Like some of those weird decorative marble arches I see in some HDB estates that serves no purpose. You won’t find any of these in Potong Pasir. Chiam manages his finance extremely carefully as he has to work with very limited support from the government. It’s okay, we understand. Moreover, because there were less of these upgrading works done in Potong Pasir, it retained a very quaint and quiet small town feel. My kind of town. This is not necessarily a bad thing. The estate is full of greenery and the place is not packed with people. Yes we have no shopping malls and many other amenities, but it also makes us distinct from so many other cookie cutter HDB estates. Before the government started to promote on neighbourliness recently, because of the high influx of new citizens and foreigners, Chiam was already nurturing Potong Pasir into a closely-knitted town where doors are always open. Even today when I visit my parents’ place, the gates are seldom locked and the children still run from one unit to another to play with each other. When neighbours cook something nice, we share the food, not complain about the curry smell. The gotong royong spirt is very much alive in Potong Pasir and I wish every other HDB estates can learn from this. Back in the early days when there was no social media and the mainstream media was the only source of news, I always wondered why Potong Pasir was often referred to as a slum and that Chiam’s chance of winning is always shaky. This was not what I see or hear personally. Ask the neighbours and I don’t see anyone wavering, even when then Prime Minister Goh Chok Tong came and offered us a swimming pool if we voted for the PAP candidate. Of course, things are very different now with social media. With internet access, an ordinary person like me can also become a publisher with a blog or a facebook post. By now, the story of Chiam and his meet-the-people session at the void deck and coffeeshop is legendary of the PAP’s bullying ways then. There are many such stories. Till today, I am still puzzled by why the PAP cannot fight a fair election without gerrymandering, abusing the GRC system, basically, making sure they enter into a boxing ring with an opponent who is expected to fight them with hands tied behind the back. There is a reason why bullies are not popular in schools. Why not be the school prefect? I find many people tend to vote blindly based on the party. The GRC system is one of the contributing factor to this as voters are forced to buy a whole bag of 4 to 6 apples, even if there are a few rotten ones inside. Growing up in Potong Pasir, I see how big a difference a good man can contribute to your own little town and to our country. This is why even when Chiam switched party twice, the voters of Potong Pasir continued to stand by him. The incumbent MP for Potong Pasir, Sitoh Yih Pin learned it the hard way. It took him two elections to figure this out. Free breakfasts and abalone porridges do not get you votes in Potong Pasir for integrity is priceless. Related Post: Tracy Lee's Instagram farewell to husband, Ben Goi - "Shall we make a date to reunite again in Heaven?" 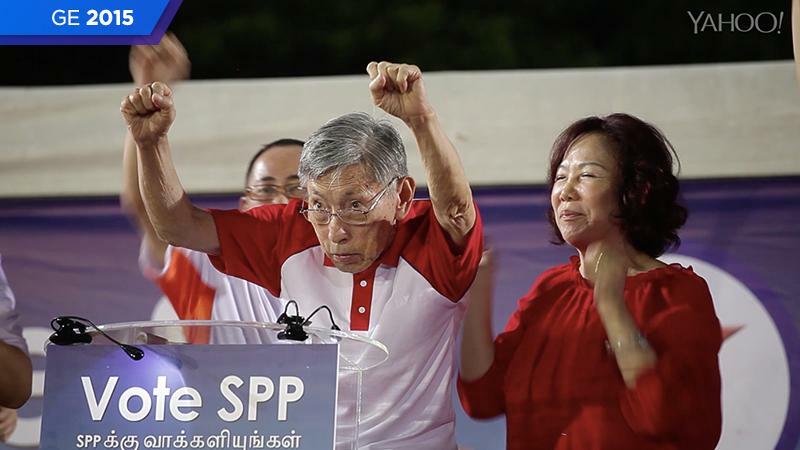 How did Sitoh win over Potong Pasir voters? By sheer hard work and humility. I do think he has a strong chance of winning again for GE2015. It will be a close fight. This is one thing I cannot understand. My parents pay taxes and I served National Service. Why are we treated like second-class citizen because we live in opposition ward? Isn’t the job of the elected government to serve all Singaporeans? Remember, even in opposition wards, there are voters who voted for the PAP too. Why are we singled out for discrimination? This was probably the hardest slap in the face for Potong Pasir residents. The thing is, the harder you whack us, the more resolute we stand united. Hougang residents will understand too. I am sure the residents in Aljunied and Punggol East are starting to feel it, each time the AHPETC saga is mentioned. “I am not actually a brave man, but I love Singapore and I love Singaporeans”. Shared Chiam when people commented on his bravery as one of the longest serving opposition politicians. Such is his humility and gentlemanly spirit. I just read Chiam’s biography recently. “Let The People Have Him, Chiam See Tong: The Early Years” by Loke Hoe Yeong. The book documents Chiam’s early life and how it shaped him into who is, including how he entered politics.